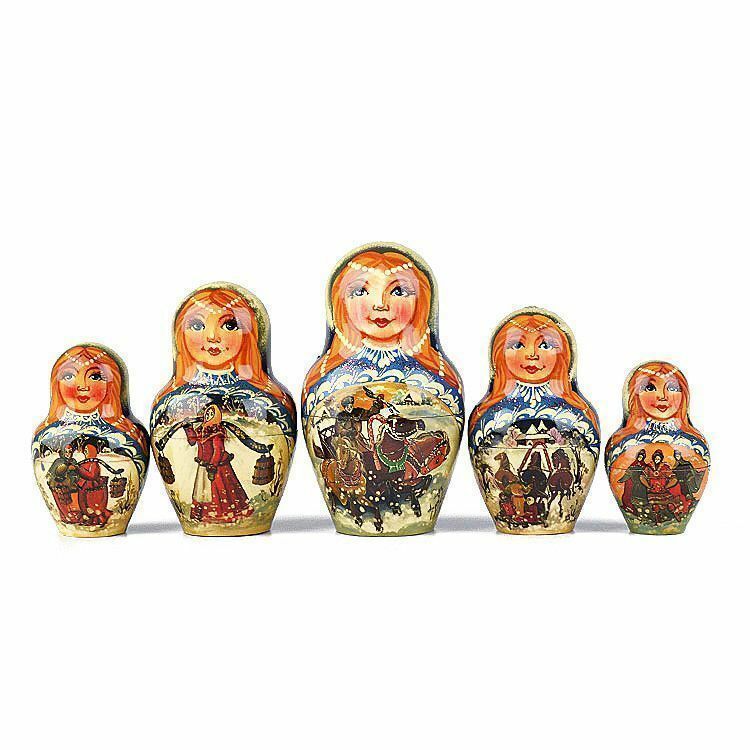 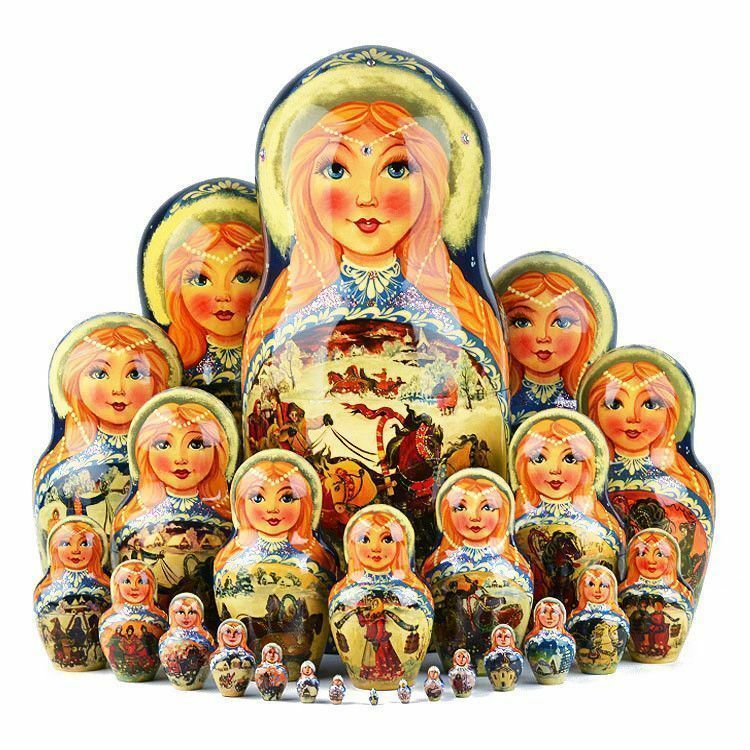 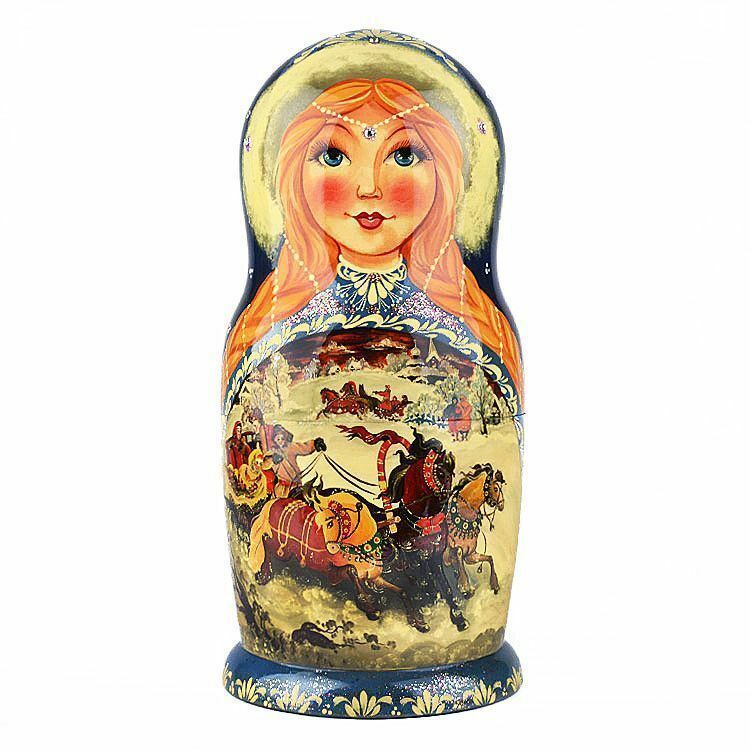 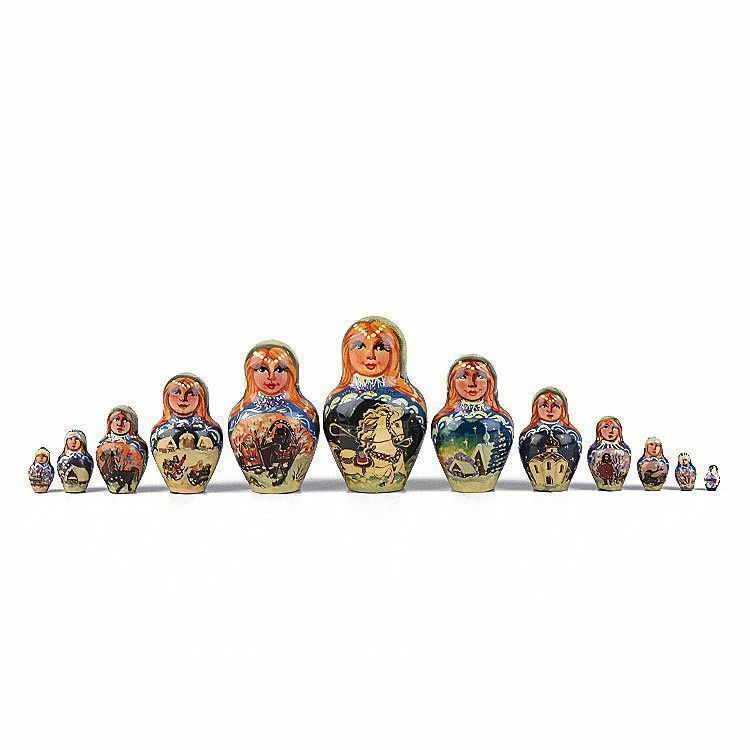 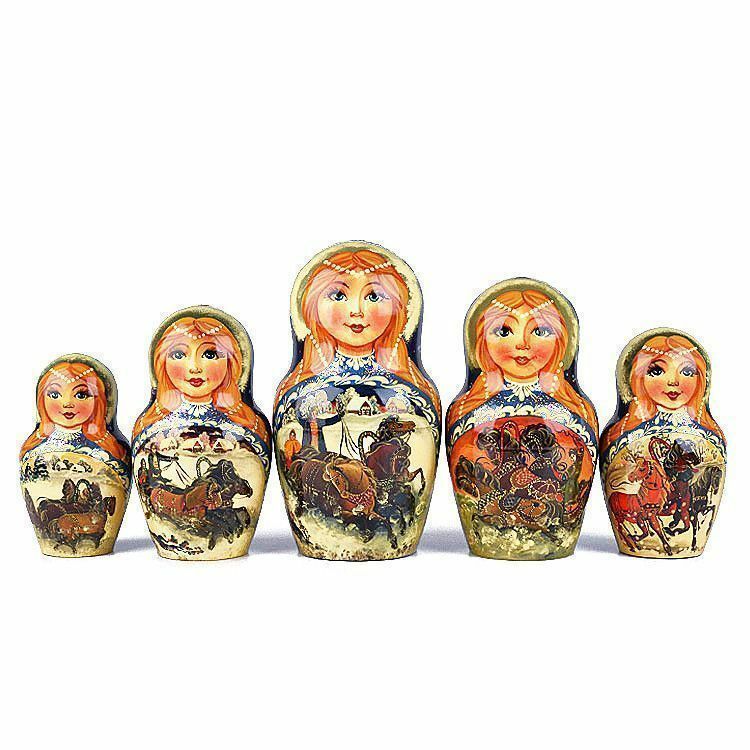 This large, 16" tall nesting doll features the famous "Russian Troika" (3-horse sled carriage) and is imported directly from Russia. 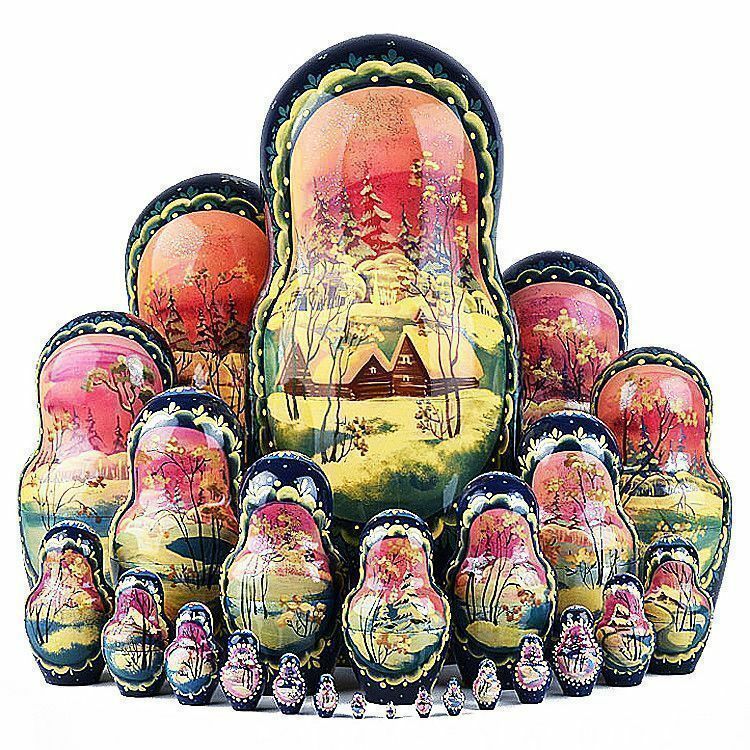 It's hand made from birch wood and hand painted by Russian artists. 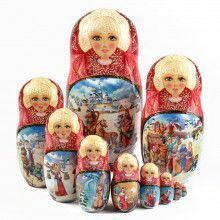 Open it up and it reveals a set of smaller dolls inside. 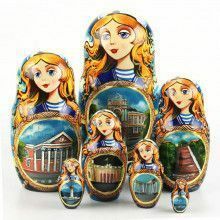 Scenes are exceptionally detailed. 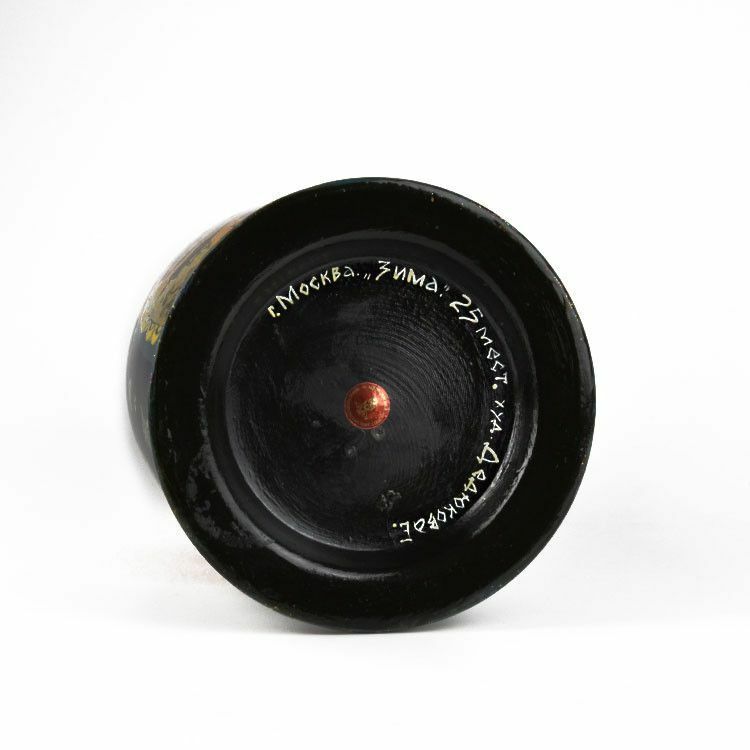 Features a gloss finish. 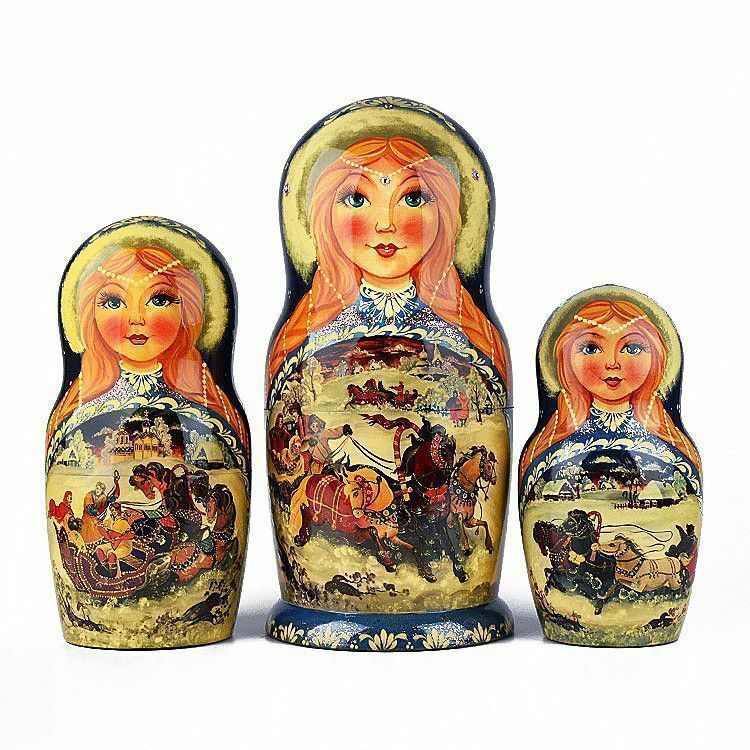 Makes an exceptional home decor piece. 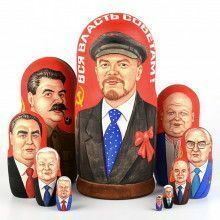 Signed by Russian artist on the bottom.